FITTING THE STEREOTYPE — Kelly L. Reddy-Best, Ph.D. Throughout the interviews for this exhibition, numerous women would explicitly describe or bring out example garments from their closets that they felt were stereotypical looks worn by someone in the LGBTQIA+ community. 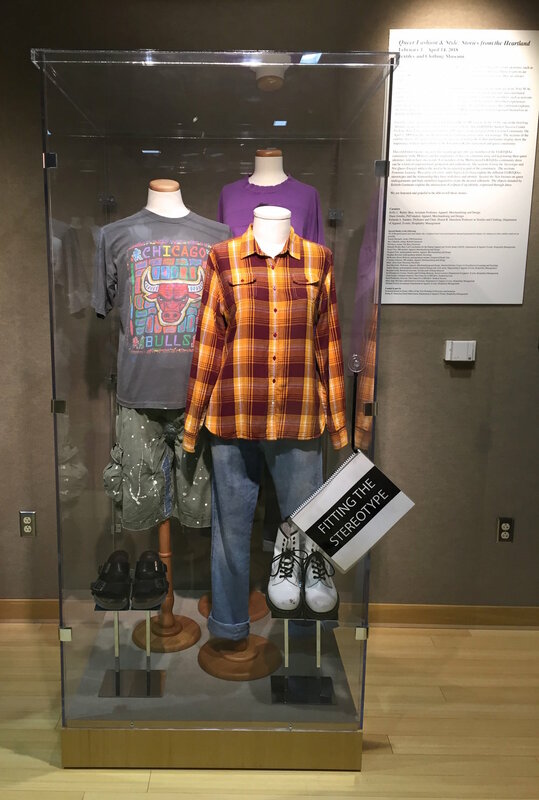 These garments represent a small collection of garments or shoe styles that “fit the stereotype” of what individuals felt a LGBTQIA+ woman looked like or what they thought others would think an LGBTQIA+ woman might look like.